Depending on where you look, lawyers are likely to read or hear that social media (LinkedIn, Twitter, Facebook, et al.) are either a tremendous waste of time fraught with ethical dangers or an essential tool for communication and a necessary part of every lawyer’s Internet presence. Are you falling behind or falling off the cliff? 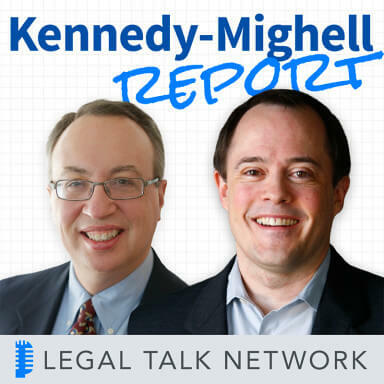 In this episode, co-hosts Dennis Kennedy and Tom Mighell will take a fresh look at social media for lawyers and try to sort through the various claims, draw a few conclusions and provide some practical pointers. After you listen, be sure to check out Tom & Dennis’ co-blog and book by the same name, The Lawyers Guide to Collaboration Tools and Technologies.